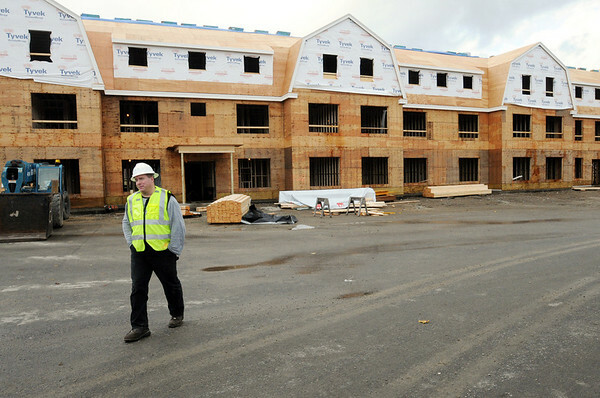 Brian Senk, superintendent at the construction site, walks past one of the two buildings of the affordable housing project under construction. It will be called Powder House Village. Photo by Ken Yuszkus/Salem News, Wednesday, November 17, 2010.